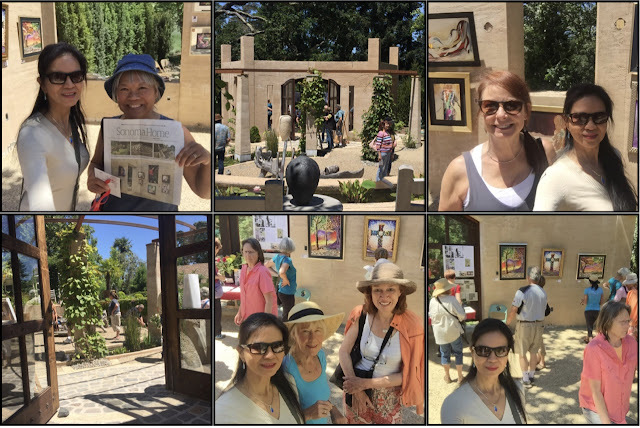 Day 2 Sunday saw a steady flow of guests from opening till closing..They mainly read the Press Democrat Cover story of "Art and Garden" written by Meg McConahey on the June 3, 2017 issue. More guests came by word of mouth from Sfo. Ca., Healdsburg, Napa, etc. Top Left: Guests enjoying Ranchito Milagro's artistic landscapes designed by Gary Ratkin. Right: the Artist cherry picking . 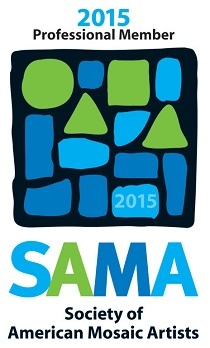 Bottom Left photo-are visiting artists from Sonoma County. Bottom Right is Miguel Molina from KPFA 94.1 FM Berkeley discussing Spanish inspired titles for her next art exhibit. The gardens became a haven for artists! Local artists Susan Cornelis and artist friends were all over the area with their easels, watercolors and sketch pads interpreting the gardens into artworks. 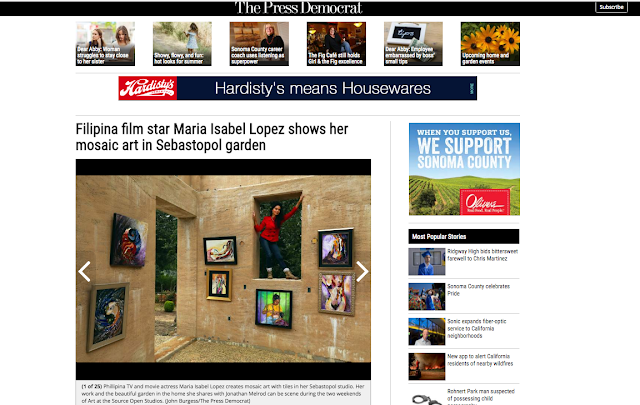 Bottom Left: Susan Cornelis presents her watercolor artwork with an easel that states "Maria Isabel Lopez Mosaic Art". Special guest is Fil-Am actress Debbie Miller Moss with her husband, David from Reno, Nevada. The actress was on Primetime TV in the Philippines with the toprated sitcom "Palibhasa Lalaki" in the 80s. Bottom Left: Miguel Molina, Jonathan Melrod, Debbie Miller and David Moss with the artist. Top Left: Filipina Zenny Warren came asking the artist to autograph a copy of the Press Democrat. A total of 600 guests visited Ranchito Milagro during the first weekend of Art at the Source. Some are artists, collectors, families with children and a few pancreatic cancer patients who came to see Jonathan Melrod to seek advise on how to fight the deadliest form of cancer. Top left:Unexpected Guest of Honor was Lita Rocha Clearsky with hat, who came with a friend. The sister of Eddie Rocha, film producer from the Philippines who was the artist's guest of honor during her first one woman show "Body and Soul" in 2016. Bottom: The showroom of the artist-site of a future development-a loft type guest house.